A SOUND OF THUNDER Brings VALIANT’s SHADOWMAN to Life In TALES FROM THE DEADSIDE – A Heavy Metal Concept Album Launching September 25! 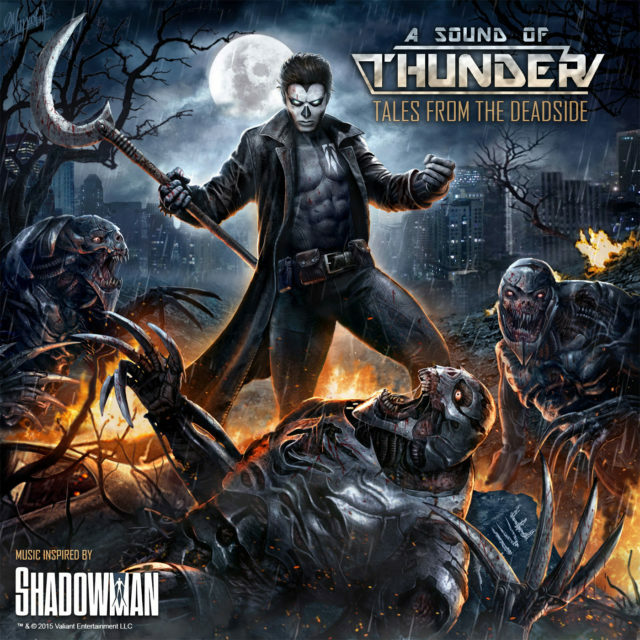 Award-winning comic book publisher Valiant Entertainment and Washington, DC area metal band A Sound of Thunder are teaming up for “Tales from the Deadside” – an all-new concept album inspired by New Orleans’ nocturnal guardian…the voodoo-empowered hero simply known as Shadowman! Venture into the darkest reaches of the Valiant Universe to witness the story of Jack Boniface – the latest in a long line of Shadowmen tasked with protecting our world from the forbidden supernatural realm called Deadside…and the evil machinations of Master Darque, who long ago traded his humanity to possess the dark knowledge of the haunted world beyond our own. 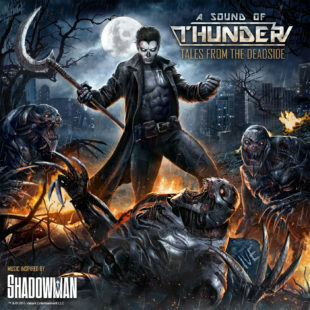 From Shadowman’s unearthly origin to his first brutal encounter with the arcane forces of the New Orleans night, “Tales from the Deadside” is a comics experience like none other, told across 60 minutes of spine-tingling tracks, voice narration, and soundscapes from rock n’ roll masters A Sound of Thunder! A runaway success on Kickstarter, “Tales from the Deadside” smashed through its initial crowdfunding campaign by more than 300 percent, raising more than $30,000. Recorded at Assembly Line Studios with RIAA platinum-awarded producer Kevin ‘131’ Gutierrez (Shinedown, While Heaven Wept, Raven), the 10-track album is A Sound of Thunder‘s fifth full-length release, refining their classic blend of melodic heavy metal, rock, and prog. Since forming in 2009, the band has performed across the United States and Canada and shared the stage with notable acts such as Iced Earth, Accept, Overkill, and Kamelot. Their last album, “The Lesser Key of Solomon,” debuted as a Top 50 release on the Billboard Heatseekers Albums chart. On September 25th, the many worlds of Valiant’s iconic Shadowman characters spring to life in “Tales from the Deadside” – available digitally, on CD, and vinyl! And don’t miss the band’s ground-shaking release party, kicking off during Baltimore Comic-Con 2015 at Baltimore’s own Metro Gallery on September 26th! Join A Sound of Thunder’s Legion of Thunder and a host of Shadowman fans from around the globe for a musical performance unlike any other as Shadowman’s “Tales from the Deadside” smashes down the barrier from the Valiant Universe to yours! 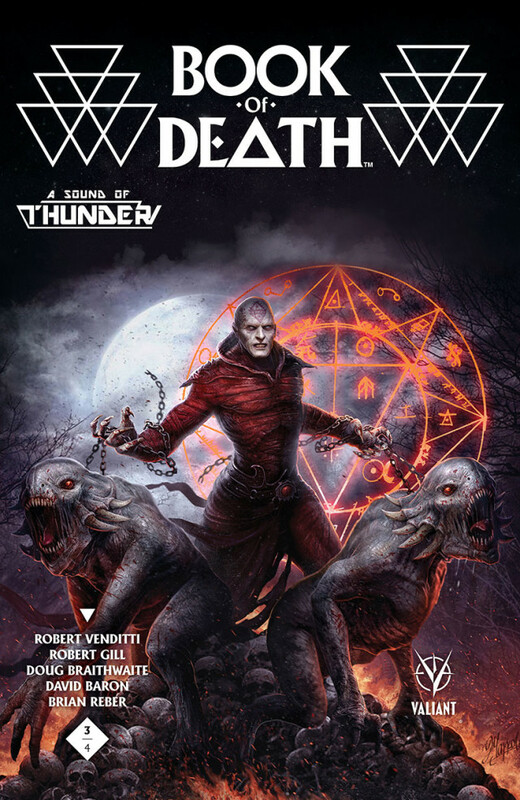 Plus: meet A Sound of Thunder in person during Baltimore Comic-Con 2015 at Booth A185, as the band overtakes the metro area’s biggest comic convention with band-exclusive variants of Book of Death #3 (of 4) by artist Dusan Markovic, CDs, vinyl, t-shirts, and more for sale and free autographing! The dark protector of the New Orleans night, Shadowman is one of the most enduring heroes in comics with more than 5.3 million comics sold since the character’s debut in 1992. As the sole protector of the boundary between our world and the nightmare realm known only as Deadside, Shadowman’s mythology forms a cornerstone of the larger Valiant Universe and spawned the best-selling “Shadow Man” action-adventure gaming franchise produced by Acclaim Entertainment. The character will next appear in “Operation: Deadside” – a four-part storyline beginning in December’s Ninjak #10 by New York Times best-selling writer Matt Kindt and superstar artist Doug Braithwaite. Valiant Entertainment is a leading character-based entertainment company that owns the largest independent superhero universe in comics. With more than 81 million issues sold and a library of over 2,000 characters, including X-O Manowar, Bloodshot, Harbinger, Shadowman, Archer & Armstrong, and many more, Valiant is one of the most successful publishers in the history of the comic book medium. Today, the company’s characters continue to be forged in publishing, licensing, film, video games, and beyond. Valiant consistently produces some of the most critically acclaimed comics in the industry and has received numerous industry awards and accolades, including a Diamond Gem Award for Comic Book Publisher of the Year. In 2015, Valiant announced a multi-picture deal to bring Bloodshot and Harbinger to the big screen as feature films. Visit Valiant online at ValiantUniverse.com.